Today, we are well reckoned among the key manufacturers and exporters of Ceramic Textiles. To meet the different needs of the clients, we offer Ceramic Textiles in varied grades and dimensions. Manufactured from the optimum quality materials, our Ceramic Textiles are durable as well as high performing. 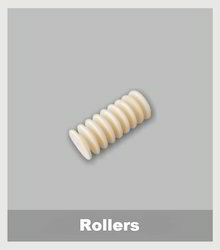 - Textile Ceramic guide insulators for textile machine part for moving yarn for processing and wrapping on spool. - Available in alumina with diamond finish on ceramic part. Also available fitting adaptor in plastic body as base support. 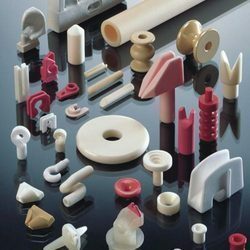 - Ceramic guide insulators for textile machine part for moving yarn for processing and wrapping on spool. - Available in alumina (> 90.0 %) with diamond finish on ceramic part. Also available fitting adaptor in plastic body as base support.